When needed, you are able to create bullets, numbered lists and sub-bullets in a variety of ways. When you have a list of items, simply highlight the list and select the desired bullet or numbered list style. 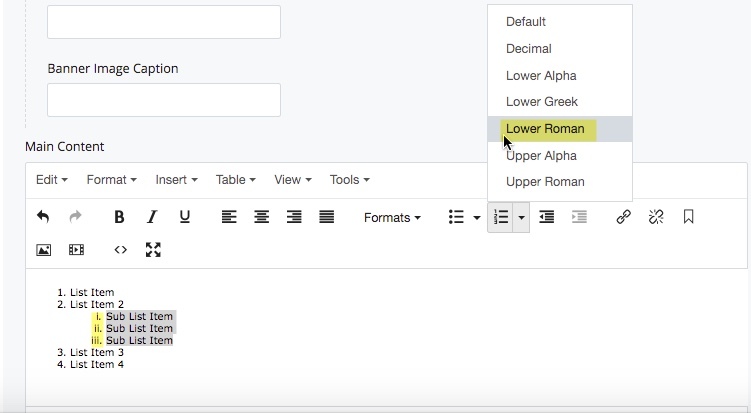 You have multiple options such as Decimal Points, Lower Alpha, Lower Greek, Lower Roman, Upper Alpha, and Upper Roman.